When Should I Do a Business Assessment? Discover the benefits of diagnosing marketing dysfunction and creating improved strategic functionality through business assessment. Change is essentially moving from a current reality to a different future state. That’s it. Sounds simple, but it really can’t be simple…because EVERYONE is trying to figure out how to create it and incorporate it into their existing strategy. In fact, I believe it’s safe to say that most management and corporate leadership would indicate that they spend a huge portion of their time creating strategic plans, and then supporting, supervising, and facilitating change. The reason for this is that modern business requires change. It’s a recipe that has to be stirred frequently. In addition, how many people want their managerial epitaph to read, “Supported the Status Quo”? This is why a business assessment, done on a regular basis, should be incorporated into your overall strategic plans. Change is a pertinent ingredient of growth because, believe it or not, most proactive change is positive. It can be painful, certainly, but PROACTIVE change is almost always positive. REACTIVE change, by contrast, is far more risky and fraught with potential negative impacts, because by its fundamental nature it is inherently more volatile. Proactive change is about conscientiously moving from a current reality to an improved future state. Reactive change is about adjusting your reality in the face of a threat or opportunity. Either way, they both need to be planned to be executed well. So how do you plan change? The longer answer is to have clarity on both your current state and your desired future state. So, with that in mind, before you can make true positive proactive change you need to be perfectly and effectively aware of your current business realities to conduct a business assessment. To put it another way, you can’t close gaps if you have no idea where your gaps are. A business assessment is a systemized, procedural analysis and reporting of key performance indicators (KPIs) that can accurately communicate your current reality, opportunities, and the gaps in between. In short, it’s a trip to the doctor for a check-up on your business. Please note, I don’t mean the “quick check your pulse and temperature” kind of check-up either. To be effective this has to be the kind of check-up that involves needles, gloves, and uncomfortable questions. The kind of appointment where you have to wait a few days for results. You cannot truly expose your gaps without a little painful digging and analysis. So what KPIs should you be using? I’ll get to that in a bit, but let’s just say that if they only take you a minute or two to look up, you’re probably not looking at the right things. The other bad news is that you should probably be doing this check-up more than once a year. They then proceed to read off what it is they have, and I’m surprised at how incomplete their information is. As components within an organization, we are limited by our microcosm and the course of our day-to-day duties, through no real fault of our own. Tunnel vision is a logical symptom of focus and you’re supposed to be focused on YOUR business. There is an old saying that says, “What you treasure, measure,” and most companies do. We latch onto one KPI and that becomes the focus. Revenue, new customers, employee retention, calls scheduled, units sold, patent filed…these are all things that companies latch onto as the “One True” measure of health. Not surprisingly, the treasured measurement will almost always improve because of the intense focus of attention and resources throughout the organization. That kind of focus can be great, in spurts, but dangerous if you are unaware of other aspects of your business, which is why you need to set aside the pet metric and go beyond your common perception to perform an actual business assessment. Let’s be honest, a broadened perspective, a more complete definition, and a fresh set of eyes ARE the reasons consultants exist, but I’m going to save you some consulting fees. So, with reference to the above definition, let me share a few things that a business assessment is not. A business assessment is not statistics. It will most certainly have stats as a part of it, but we are looking for a total health check…not just pulse and temperature. Sorry, wrong. That is not effective. In fact, it’s the equivalent of saying that your tennis elbow is much better, while your foot may be cut off. One stat, ten stats, fifty KPIs on a sheet of paper can give you a lot of data and answer a lot of things, but we are talking about assessing your current reality, and that kind of analysis WILL require some essay questions. Your current state isn’t just metrics, any more than your company is a just a stock price. In addition to statistics, you need to think about some things that may be subjective or hard to quantify but are still vitally important when conducting a business assessment. Have you just hired a new marketing director? Did you just onboard a new skill set? Has a competitor just performed another round of fundraising? These are just a few of the HUNDREDS of non-quantifiable factors of your current reality, and therefore part of determining the gap to your desired state. So don’t throw the stats away. You will need them for a thorough business assessment, but be prepared that just posting last month’s dashboard KPIs isn’t going to fulfill your need. Strategy is an oft-misunderstood, poorly defined, and occasionally maligned tool within any high-functioning business unit. For more on finding out if you actually have a marketing strategy click HERE. Your strategy is key, but it IS NOT an assessment. In fact, you really should conduct an assessment before you create your strategy. They go hand in hand, but they are not interchangeable. To keep our medical analogy going, as if you have a choice, your current bill of health can’t tell you how you should lose weight…it can only point out the reality that maybe you should. Where you are now is your assessment. Where you need to be is your strategy to get there. Interestingly enough, many companies hire consultants to craft a strategy as a way to assess their current performance. Makes sense, right? I mean if you hire an elite marketing team to create a strategy for you, then you can compare it to your current strategy and discover gaps. The same thing would work for almost any consulting engagement…management, IT, financial, etc. It is just a VERY expensive and time-consuming way of conducting an assessment. You would be better served to build the capacity to conduct an accurate assessment of your normal business operations. Get that skill defined and on board, and save the consultants for when you already have a sense of your actual gap. This one should be obvious after our earlier conversation about statistics, but let me reiterate: financial analysis is only one component of a proper business assessment. It is certainly a necessary ingredient, but only one of many. A financial assessment is something you should conduct monthly, and most organizations do so in the course of their normal accounting functionality. P&L statements, income statements, cash flows, balance sheets…these are all vital for the health of your business and reflective of your current state, but they are not the whole picture. A good business assessment will ask you for some financial information, but it should account for no more than 30% of the information gathered. Yep, reviewing your marketing KPIs is part of the assessment process, but very far from the whole shebang. I mean I do recommend a frequent review of your marketing KPIs—let’s be honest most marketers can barely go 48 hours without checking them—but don’t mistake them for anything holistic or comprehensive in regards to your overall business assessment. Tactics are the actual individual tools, systems, or processes that you are using to operate your business. They are the tasks within a functional area that you use to complete or achieve a certain goal. For example, you can have a communication strategy that consists of the following tactics: Public Relations, Social Media, Outreach, and Building Thought Leadership. Similarly, you can have a distribution strategy that consists of: Direct-to-Consumer eCommerce Sales, Wholesaler Agreements, Affiliate Resellers, and Trade Show Demonstrations. Those are all tactics, and it is good to take the pulse of tactics and make sure they are working the way you want them to. However, and I know you’re not surprised by this, tactical assessment is not a business assessment. No one tactic, or functional area, is the sum of your business. We need to get to the core of your current business reality. Don’t throw the tactical analysis out or ignore it completely in the course of conducting a business assessment. After all, an underperforming tactic or overly consumptive tactic may be the key to understanding any gap, but remember to keep your eye on the holistic state, not one functional tactical area. So, as you can gather from everything we’ve written so far, it’s hard to know which elements to focus on to perform a truly effective business assessment. Businesses are complex entities and it’s easy to get myopic or lost in minutiae. Luckily, there are lots of good, prefabricated business assessments that are generic enough that you can apply them to any entity. Ah yes, the ubiquitous, yet sacred, SWOTT Analysis. A favorite of business school types, myself included, the SWOTT breaks out a company’s Strengths, Weaknesses, Opportunities, Threats, and Trends, to provide a comprehensive reality check around your business’s current state. Seems pretty self-explanatory. What are you good at? What are your capabilities? Do you have a strong market share? A great engineering team? Lots of cash on hand? All of those factors are things that you should list as part of this assessment but don’t just stop with the obvious ones. Does your leadership have a lot of energy? Is corporate morale high? Is your communications infrastructure system better than your competitors? Odd things can make a huge difference in a competitive landscape so REACH DEEP. Don’t be afraid to list things that the board might consider irrelevant or silly. Make a full catalog of your arsenal, from cannons to pop-guns. The obvious foil to strengths, but again, you need to go beyond the obvious. You should definitely list things like inferior product specs, less funding, or bad positioning, but you need to think outside of the norm a bit. The trick to this is to consider your debts. I don’t mean just your financial debts, although those definitely should be considered in your business assessment, but your functional debts as well. Here are a few examples of functional debts: If your network infrastructure hasn’t been updated in five years, then you probably have some technological debt you need to address. If you haven’t updated your product in three years, then you have an innovative debt. If you’ve just lost key engineers, designers, or marketers, then you may have high intellectual debt. Remember that weaknesses and threats can be interchanged to some degree. The fundamental difference is: A THREAT is something that can drastically affect your business in the short term, while a WEAKNESS is something that is detrimental to your profitability over a longer time frame. Both should be addressed, but their impact and prioritization are vastly different. Your best shots for growth over the next 12 – 24 months at this given point in time. Are you close to releasing an updated product that will change the game or diversify your offering? Has a recent sale opened up a new market? Do you have an opportunity to collaborate with a new partner? Opportunities can range from the painfully obvious—buying a competitor or seeking new investment—to the surprisingly mundane —hiring a new distribution manager or reducing costs in a specific functional area. A word of warning, don’t treat your opportunities like a wish list. These aren’t goals. Sure you’d love the “opportunity” to grow sales by 32%, but does that correspond to a path that you can take right now? In your business assessment, you want to include the real opportunities, the actual on-the-table choices that are available to your organization right now, or in the very near term. Threats are what should be keeping you up at night. They are the immediate dangers to your viability that need to be countered in the short term. A lot of executives spend a lot of time thinking about threats, and given that two of Porter’s Five Forces are based on that concern (threat of substitution and threat of new entry), they may not be off base. So here are just a few threats to consider when compiling this portion of your business assessment: new competitor(s), shrinking market share, poor financial performance in recent quarters. Obvious, right? Now, look outside the box a bit. Has a competitor recently completed successful fundraising? Is there a case currently in litigation that could affect your space? Is a key supplier faltering? Try and stay focused on the immediate future while doing this part of your SWOTT. Yes, solar-powered flying cars might threaten tire manufacturers, but that isn’t a foreseeable reality. One more note on threats: they are the ENTIRE reason industry associations exist. If you don’t have good visibility on threats to your company, industry or vertical, grabbing an association magazine or paying your dues might provide some insight. A recent addition to the holy quintuple of SWOT(T). There are some in the hallowed halls of great business schools that believe that Threats should cover this ground and the extra T is superfluous. I see what they are saying, but I still like to break them out. I guarantee Kodak performed business assessments across their vast domain, but they missed the trend toward digital photography…aka better emerging technology, greater ease of use, and cheaper storage. So definitely consider Trends as part of your business assessment. Is there a movement toward a different style or product? Is there an unexpected backlash to an emerging technology (think: Google glasses)? Is there an increasing outcry against the use of one of your key components? Is there an emerging design platform you can use to streamline productivity? Is there growing concern about a problem your product can address? So the key thing to remember is not to think of trends as positive or negative. Similarly, you also can’t think of them as “trendy” and therefore dismiss them as passing. Trends are just things that are “trending” right now. One final note on the basic SWOTT. This isn’t a plan. It isn’t a strategy. This is an assessment. It is not a living document. It is meant to be completed to mark a point in time, and repeated at a future point in time. From my experience, a company with 5-6 products and around 100 employees should be able to perform a complete SWOTT in about two weeks time with only one or two meetings and minimal commitment from key personnel. Pick one or two drivers who have the authority and visibility to piece it together and give them a timeline to complete the business assessment. One SWOTT not good enough for you? Well, we’ve got you covered. If you don’t think the general SWOTT gives you enough visibility into your current state, and there is some truth to that argument, the 5-Layer SWOTT is your dream come true. This oversized cake of a SWOTT dives deep and will definitely give you a great analysis of your current business state. This is a far more granular, far more intense process that I’m not going to break down exhaustively…because this is an article, not a book. You can read a more detailed great write up of multi-layer SWOTTs HERE. I will say that the cost of doing a 5-Layer SWOTT is worth the investment of time and resources. Plan on about four weeks of part-time investment from 3-5 employees with scope and authority about once a year to complete a 5-Layer SWOTT business assessment. On the total opposite end of the spectrum from the 5-Layer SWOTT, we have the GPCT or Goals, Plans, Challenges, and Timeline. This structure is typically used by sales teams as an enhancement on BANT (Budget, Authority, Needs, Timeline), but it has crept into other functional areas because of its very logical structure. This is a fast check, probably too fast, that can be conducted on an almost weekly basis; but it still requires some thought and analysis to make sure your scope is not drifting off target. With only four points, this is a probable favorite for those of you with time constraints, aka all of you, but I’m going to point out a few of its shortcomings of this type of business assessment. Simply what you are hoping to accomplish. Leave out your BHAG (Big Hairy Audacious Goal) and focus on those things that are key to a better state of being within the next 24 months. Also, make sure that the goals you are listing are SMART (Specific, Measurable, Achievable, Relevant, Timely). “Increase revenue” is good, but “Increase sales revenue 3% by Q3” is much, much better. Don’t go overboard on this. This VERY condensed business assessment loses efficacy if you go over four goals because you need to address the Challenges, Plans, and Timeline for each. This will address how you’re going to reach your goals. For consistency, let’s keep our revenue goal going. So your plan might be to “Introduce a consultative outbound sales program to augment our product-centric approach.” That is a good plan by the way. Try and stick to one plan per goal. Yes, there IS more than one way to skin a cat (odd proverb), but in business, it’s best to keep them consolidated. Challenges are the things blocking the path to your goals. Another obvious one, but make sure to note that there may be more than one challenge per goal, so don’t be stingy with these. Determine how long you have to achieve the goal. Specificity is your friend here, so “by next year” is not going to cut it. It is not called “Due Date,” it’s called “Timeline,” so having an idea of what happens, when, on the way to your goal is vital. At least note a few realistic milestones. So yes, GPCT covers a lot of ground quickly, but I don’t love it as a business assessment because it doesn’t address any of the WHY factors. It does a great job with the whats, whens, and hows, but the whys are totally ignored. As such it’s a great tool for people like me, aka people you hire to come in and help you figure out the “whys,” but if you want to get there on your own you will need a more diverse assessment structure in front of you. If you’ve made it to this point you’re very likely to perform a business assessment. Good for you. Thus far, we have been discussing assessment systems that you can formulate yourself, and I fully support onboarding that skill set and making it part of your functional analysis going forward, but I do have a warning. Yes, it’s another catchy, slightly confusing piece of advice, but it nails a key point. We can’t see our own blind spots. We can only progress in areas where we have a full understanding or an awareness that we don’t know something, everything else is just regurgitating the data that we don’t need help with. Our natural instinct is to make any test we have to perform easier, which is exactly what you don’t want. All of this is why I recommend using an outsourced, pre-formed business assessment, at least the first few times. Better yet, get them from a couple different sources, dedicate your team to answering EVERY question and see what you learn. That is challenging, that is painful, that is enlightening and THAT is the basis for CHANGE. I’m sure this does not come as a surprise to anyone familiar with UHURU, but we have our own business assessment structure that we find very effective and less intensive than a SWOTT…and infinitely easier than a 5-Layer SWOTT. 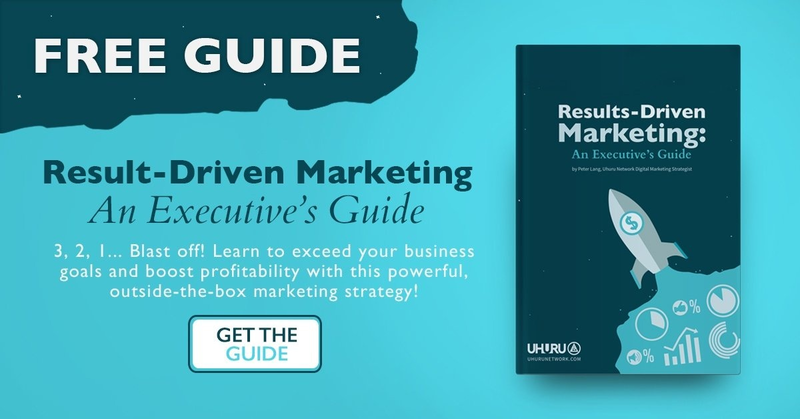 The UHURU Assessment focuses on determining factors about your current business reality that may be affecting your lead generation and profitability. At 90 questions total, a lot of our areas overlap. You’ll also notice that we will ask the same thing two or three different ways…which I’m sure some people find annoying, but it is vital to understanding how solid your information is and how realistic your goals are. We are looking for GAPS, but we are also making sure you have the awareness and data to REALLY know what the gaps between your desired state and your current reality are. Because we need to be sure we can really help you get to your desired future state. We don’t work with people we can’t do amazing things for. The short answer is “Yes,” this business assessment can put off customers, but it doesn’t scare off partners. A customer is buying something from you once and is annoyed by delays, while a partner appreciates your diligence and honesty and is planning to be around for a long time. So there you have it. Business assessments summarized and presented, in possibly too much detail and greater depth than you wanted…. You are one step closer to creating effective, proactive change in your business and one step closer to exceeding your REAL goals in 2018. Now, go take your assessment.